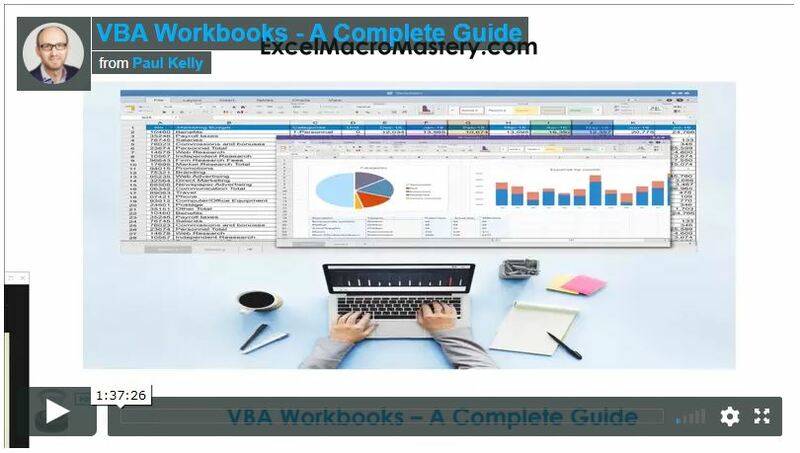 This post provides a complete guide to using the VBA Workbook. 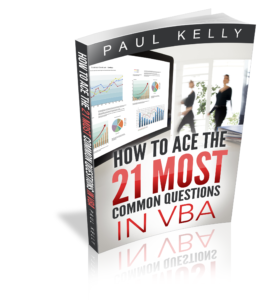 For all other VBA Workbook tasks, check out the quick guide below. Save workbook copy wk.SaveCopyAs "C:\Copy.xlsm"
Copy workbook if closed FileCopy "C:\file1.xlsx","C:\Copy.xlsx"
We can access any open workbook using the code Workbooks(“Example.xlsm“). Simply replace Example.xlsm with the name of the workbook you wish to use. The following example shows you how to write to a cell on a worksheet. You will notice we had to specify the workbook, worksheet and range of cells. This example may look a little be confusing to a new user but it is actually quite simple. You can see the simple pattern here. You can write to any cell in any worksheet from any workbook. It is just a matter of changing the workbook name, worksheet name and the range to suit your needs. The Workbooks keyword refers to a collection of all open workbooks. Supplying the workbook name to the collection gives us access to that workbook. When we have the object we can use it to perform tasks with the workbook. Run-time Error 9: Subscript out of Range. This means that VBA cannot find the workbook you passed as a parameter. The workbook is currently closed. You spelled the name wrong. You created e new workbook (e.g. Book1) and tried to access it using Workbooks(“Book1.xlsx”). It’s name is not Book1.xlsx until it is saved for the first time. 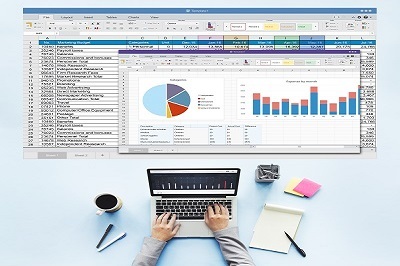 (Excel 2007/2010 only) If you are running two instances of Excel then Workbooks() only refers to to the workbooks open in the current Excel instance. You passed a number as Index and it is greater than the number of workbooks open e.g. you used Workbooks(3) and only two workbooks are open. If you cannot resolve the error then use either of the functions in the section Finding all open Workbooks. These will print the names of all open workbooks to the Immediate Window(Ctrl + G). The following examples show what you can do with the workbook. Note: To try this example create two open workbooks called Test1.xlsx and Test2.xlsx. You can also use an Index number with Workbooks(). The index refers to the order the Workbook was open or created. Workbooks(1) refers to the workbook that was opened first. Workbooks(2) refers to the workbook that was opened second and so on. Using the index is not really useful unless you really need to know the order. For this reason, you should avoid using it. You should use the workbook name with Workbooks() instead. Sometimes you may want to access all the workbooks that are open. In other words, all the items in the Workbooks() collection. You can do this using the For Each loop. For accessing workbooks, either of these Loops is fine. The standard For loop is useful if you want to use a different order or you need to use a counter. So far we have dealt with workbooks that are already open. Of course, having to manually open a workbook before running a Macro, defeats the purpose of automating tasks. The Open Workbook task should be performed by VBA. It is a good idea to check a workbook actually exists before you try to open it. This will prevent you getting errors. The Dir function allows you to easily do this . MsgBox "Could not open the workbook. Please check it exists"
If you are opening a workbook as Read-Only, it doesn’t matter if it is already open. However, if you’re going to update data in a workbook then it is a good idea to check if it is already open. The function below can be used to check if the workbook is currently open. If not, then it will open the workbook. In either case you will end up with the workbook opened. This code is fine is most situations. However, if the workbook could be currently open in read-only mode or could be currently opened by another user then you may want to use a slightly different approach. An easy way to deal this with this scenario is to insist that the file must be closed for the application to run successfully. You can use the function below to simply check is the file already open and if so inform the user that it must be closed first. An example of using this function is shown below. In this case, if the workbook is already open then you inform the user that is must be closed for the macro to proceed. MsgBox "File is already open. Please close file and run macro again." If you need to check if the workbook is open in another instance of Excel you can use the ReadOnly attribute of the workbook. It will be set to true if it is open in another instance. To Close a Workbook in Excel VBA is very simple. You simply call the Close method of the workbook. Normally when you close a workbook in VBA, you don’t want to see messages from Excel asking if you want to save the file. You can specify whether to save the workbook or not and then the Excel messages will not appear. Obviously, you cannot save changes to a workbook that is currently open as read-only. The Workbook SaveAs method comes with twelve parameters which allow you to add a password, set the file as read-only and so on. You can see the details here. If the workbook is open you can use the two methods in the above section to create a copy i.e. SaveAs and SaveCopyAs. The previous section shows you how to open a workbook with a given name. Sometimes you may want the user to select the workbook. You can easily use the Windows File Dialog shown here. If you just want the user to select the file you can use the GetOpenFilename function. The following function opens a workbook using the File Dialog. The function returns the full file name if a file was selected. If the user cancels it displays a message and returns an empty string. .Title = "Please Select File"
MsgBox "Selecting a file has been cancelled. " You can customise the dialog by changing the Title, Filters and AllowMultiSelect in the UserSelectWorkbook function. There is an easier way to access the current workbook than using Workbooks(). You can use the keyword ThisWorkbook. It refers to the current workbook i.e. the workbook that contains the VBA code. 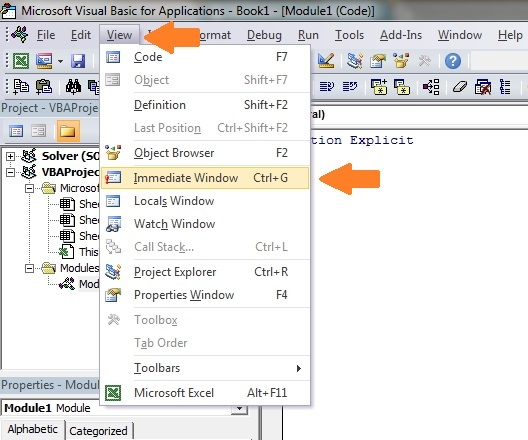 If our code is in a workbook call MyVBA.xlsm then ThisWorkbook and Workbooks(“MyVBA.xlsm”) refer to the same workbook. These may seem like very small advantages. The reality is your filenames will change all the time. Using ThisWorkbook means your code will still work fine. The following example shows two lines of code. One using ThisWorkbook and one using Workbooks(). The one using Workbooks will no longer work if the name of MyVBA.xlsm changes.
' Both lines do the same thing. ActiveWorkbook refers to the workbook that is currently active. This is the one that the user last clicked on. This can seem useful at first. The problem is that any workbook can become active by a simple mouse click. This means you could easily write data to the wrong workbook. Using ActiveWorkbook also makes the code hard to read. It may not be obvious from the code which workbook should be the active one. I hope I made it clear that you should avoid using ActiveWorkbook unless you really have to. If you must then be very careful. You can set a workbook variable with any of the access methods we have seen. In these examples the difference is not major. However, when you have a lot of code, using a variable is useful particularly for worksheet and ranges where the names tend to be long e.g. thisWorkbook.Worksheets(“Sheet1”).Range(“A1”). You can name the workbook variable to be something like wrkRead or wrkWrite. Then at a glance you can see what this workbook is being used for. To create a new workbook you use the Workbooks Add function. This function creates a new blank workbook. It is the same as selecting New Workbook from the Excel File menu. When you create a new workbook you will generally want to save it. The following code shows you how to do this.
' Save as xlsx. This is the default. When you create a new workbook it normally contains three sheets. This is determined by the property Application.SheetsInNewWorkbook. If you want to have a different number of sheets in a new workbook then you change this property before you create the new workbook. The following example shows you how to create a new workbook with seven sheets. The With keyword makes reading and writing VBA code easier. Using With means you only need to mention the item once. With is used with Objects. These are items such as Workbooks, Worksheets and Ranges. The following example has two Subs. The first is similar to code we have seen so far. The second uses the With keyword. You can see the code is much clearer in the second Sub. The keywords End With mark the finish of a section code using With. To get the workbook containing the code use ThisWorkbook. To get any open workbook use Workbooks(“Example.xlsx”). 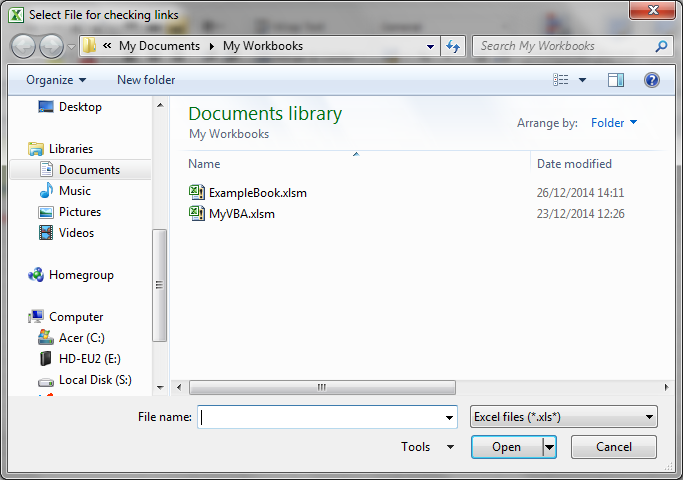 To open a workbook use Set Wrk = Workbooks.Open(“C:\Folder\Example.xlsx”). Allow the user to select a file using the UserSelectWorkbook function provided above. To create a copy of an open workbook use the SaveAs property with a filename. To create a copy of a workbook without opening use the FileCopy function. To make your code easier to read and write use the With keyword. To run through all open Workbooks use For Each wk in Workbooks where wk is a workbook variable. Try to avoid using ActiveWorkbook and Workbooks(Index) as their reference to a workbook is temporary. This was an in-depth post about a very important element of VBA – the Workbook. I hope you found it beneficial. Excel is great at providing many ways to perform similar actions but the downside is it can lead to confusion at times. To get the most benefit from this post I recommend you try out the examples. Create some workbooks and play around with the code. Make changes to the code and see how the changes affect the outcome. Practice is the best way to learn VBA. If you found this post useful then feel free to share it with others using the bar at the side. Very nicely explained topics. But symbols of > and < in examples are have problems. Please change them. Sometimes when I update a post, WordPress automatically changes the greater/less than symbols. I’ve updated the post to fix them. Hi Paul, I’ve gone through couple of websites to actually learn Macros if a person is novice and none could provide the basics so clearly the way you are doing. I’m actually learning VBA and macros through your website. Thanks Pooja, Glad you like it. Paul, what is your email please? I like your site because the explanations you provide are really making me understand some things I didn’t before. Thanks for your comment. Glad you like the site. I’ve update the post to fix those issues. Thanks Sneha, glad you like it. I have a macro that saves a specific range to a text file. But when i save it this changes the original workbook name to the same i want in my text file. ‘Ask user to select range for text file. ‘Save selected data as text file in users selected folder. ‘Go to top of sheet. How can i run this macro but keep the xlsm name. Please could you help me here? I have this script below, but I need it to send the entire workbook, not just the worksheet. You need to replace xSht with a workbook e.g. Thank you very much for creating an amazing resource for VBA armatures like me. Your error handling section helped me a lot today. Now, I want to learn on how to open a workbook from from a SharePoint folder. I have developed a Excel VBA application and I want to use data from the product reference workbooks stored in one of our SharePoint folder. 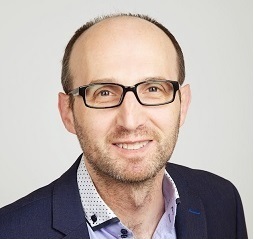 I want to open the product reference workbook directly from the SharePoint site so that I can ensure that I always get the latest reference data. Any help in this would be highly appreciated. If you want to download(check out) from Sharepoint then you will need to use the Sharepoint libraries. This is a great resource to have at my fingertips. Please add an item to get from fullfilename to the filename that you must use to close it. 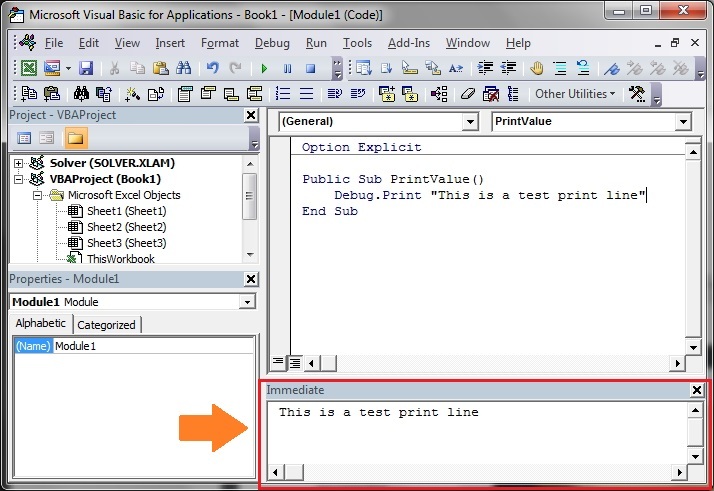 in the given example in your tutorial is this .Open really required in this line at last? And at last truely your web tutorials are awesome.